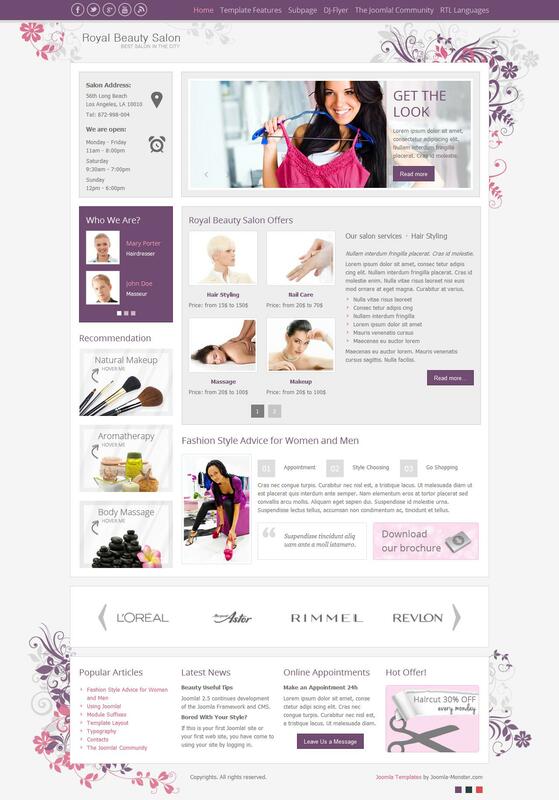 There are special templates for creating attractive websites beauty salons. So is elegant template JM Royal Beauty Salon . It has a wide range of functions to better work with the site. Designed so that it will be of interest to people working in the spa cosmetic services - salons. Design presented in a single color, where the width of the layout is fixed. Among other functions, this layout, the following - a modular design, optimization and file manipulation code files. The template has a function module that will reflect the information in various forms on the site.